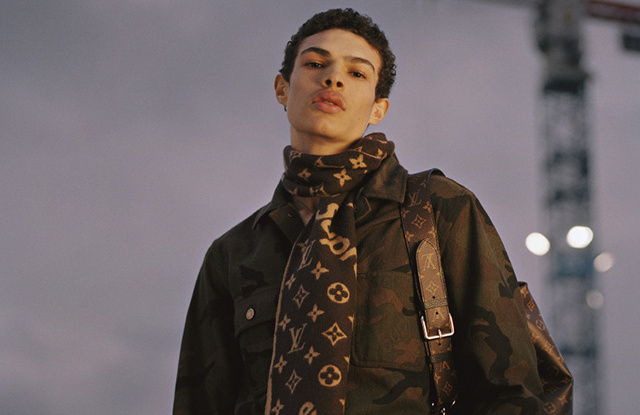 Earlier today in Paris, Louis Vuitton presented their Fall-Winter 2017 menswear collection which was designed in collaboration with New York streetwear giant Supreme. Although we have seen an increasing number of of collaborations between luxury brands and high street stores (see H&M x Balmain, Versace and Margiela), this is a watershed moment between two leaders in their respective markets. “You can’t have the conversation of New York menswear without Supreme right now, because it’s such a massive global phenomenon,” were the words said by Louis Vuitton menswear artistic director Kim Jones when previewing the monumental collaboration. @louisvuitton my dawg prolly do it for a Louis belt.